Yesterday as Jay, Harley & I were returning from our sunrise harbour walk we discovered Jay’s wallet was missing. What followed was the fasted 2km run I think we’ve ever done! But there it was, sitting on the grass where it had fallen out of Jay’s pocket when we were doing our sit-ups & ab-work! 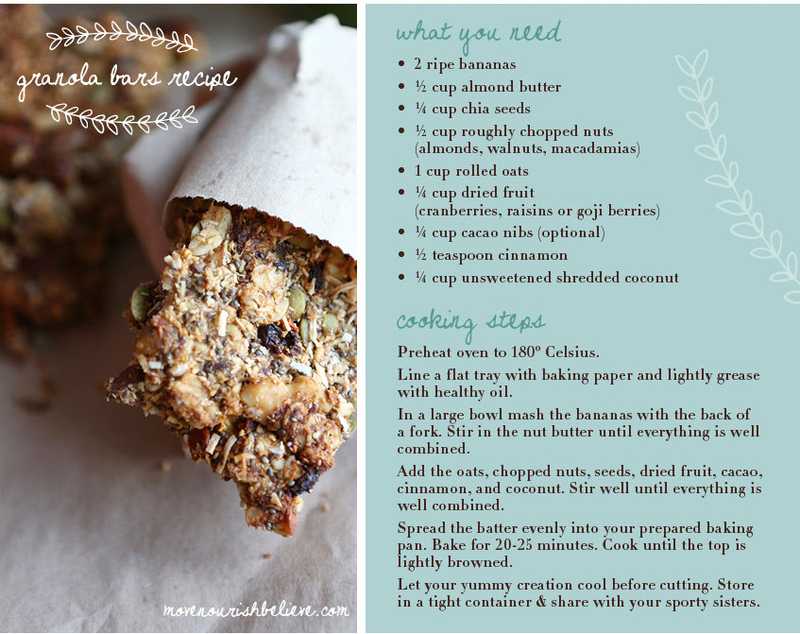 Today my knee is a little sore, so I skipped my workout, but always searching for Friday’s Fitspiration, I found this amazing healthy granola bar recipe from MoveNourishBelieve which I’m going to make on the weekend!